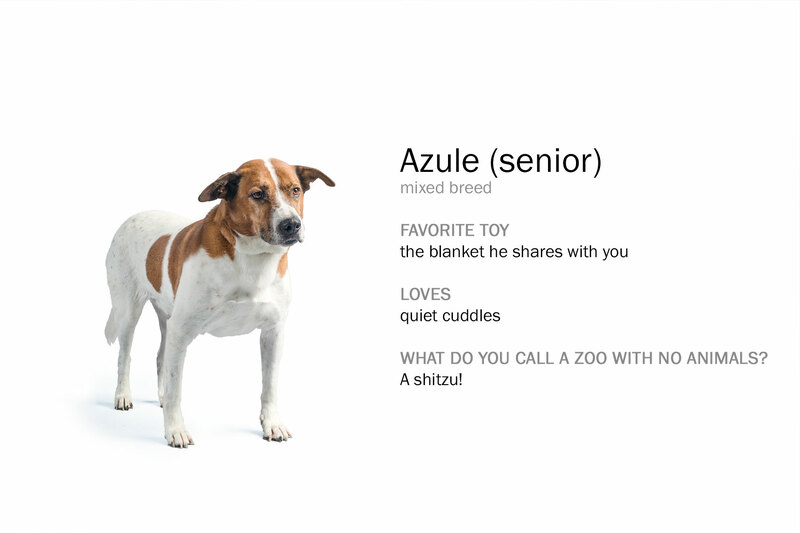 Azule is an older dog who came in with heartworm. His owner couldn't afford the medication. He's since been treated, and has also had a root canal. He's a bit slower now due to his age, but is a very kind, loving old gent.